Welcome to Merton Windows & Doors. We provide a full supply and fit service of top quality glazing products to residential and commercial customers in Balham, Dulwich and beyond. We have a large catalogue of products to choose from, including uPVC windows, Residence 9 windows, aluminium windows, sash windows, roof lanterns, porches, conservatories, timber windows and triple glazing. We are dedicated to providing a traditional and personal service, alongside excellent craftsmanship and value for money. Whether you are looking to increase security, save money on your energy bills or really make an impression with your glazing, we are the company to call. We install products that incorporate the latest in product innovation and design. We are registered with FENSA, so our work complies with the toughest industry standards. We can supply and fit a complete range of products suitable for homes, commercial or industrial premises, including replacements, new builds and refurbishment projects. 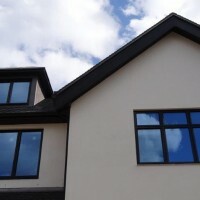 Why invest in new or replacement windows in Balham? Improved value and visual appearance: Replacing old and worn windows with newer styles will not only give your property a fresh look but will add value. Enhanced security: If you are worried about intruders, new glazing can make all the difference. With expert security features, like multi-point locks, you can feel confident that your home is secure. Strength and durability: All our windows are manufactured using materials that are highly resistant to the elements, so they are very low maintenance. Noise reduction: If you live on a busy road and are affected by the noise, new double or triple glazing offers significantly better insulation. Excellent thermal efficiency: As less heat escapes from your property, your energy bills will be reduced and there will be less impact on the environment. 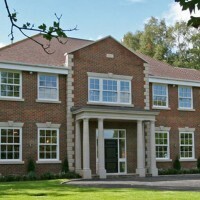 Huge choice: We offer a huge range of choice, including aluminium windows, Residence 9 windows, sash windows, timber windows, uPVC windows and much more. There are literally hundreds of options to choose from. Read out blog about whether floor-to-ceiling windows are right for your property. Many customers still prefer traditional timber over more modern materials and our combination of solid and engineered timber offers the best performance, alongside exceptional aesthetics. 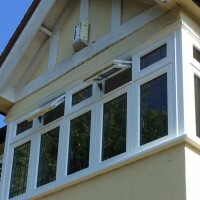 Timber window frames are also innately durable if the property is looked after. 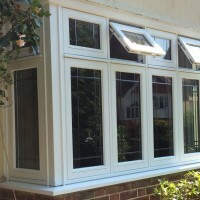 For a free quote from our windows company in Balham, get in touch now!